Chichester District Council's Overview and Scrutiny Committee today agreed that the council's cabinet members were right to approve the sale of land in Bepton Road, Midhurst to a care home developer. The decision had been called in for review, following concerns raised by people in Midhurst. 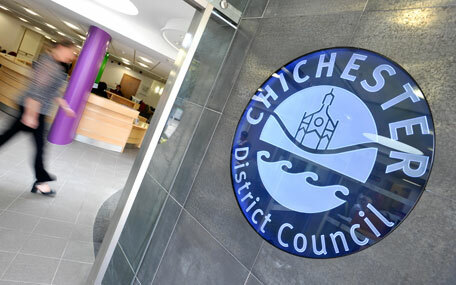 "The Overview and Scrutiny Committee has looked into the matters raised by the public very carefully, and they upheld the cabinet's decision ," says a Chichester District Council spokesperson. "The council has extensively marketed the site over the past three years and has considered a range of offers for uses, including a food store, other retail options, residential property, sheltered housing, and care home facilities. It also had originally intended to sell the land to a developer who was going develop food store, but this fell through due to the economic challenges faced by the food retail sector. "Legally, the council has a duty to achieve best value for any disposal of land, and these decisions rest with the cabinet. The consultation process with residents and businesses happens when a planning application is submitted for the site." Following a competitive bidding process, the council's cabinet decided to sell the land to developers who want to build a care home for the town, which has the potential to create in the region of 60 new jobs in the area. The land has been on the market for a number of years. Four years ago, Kimberley Developments was chosen as the council's preferred purchaser to construct a food store, but due to the economic problems faced by the food retail sector, the sale of the land did not go ahead.